The story of Harry Garrett is supplied by our partners at SSAFA in Kent. While not a member of the Kent or Sharpshooters Yeomanry, Harry fought in many of the same campaigns, and has been an active fund raiser for the Royal British Legion in his “retirement”. Harry was born in April 1918 in Uxbridge, Middlesex. His early life was difficult and he and his brother Kenny became Barnardo’s boys. They joined the TA in Brixton in 1938 , training on 2 pounder anti tank guns. In September 1939 they were kitted out at Kempton Park racecourse and embarked for Cherbourg. Harry was in the 52nd anti tank Regiment Royal Artillery. 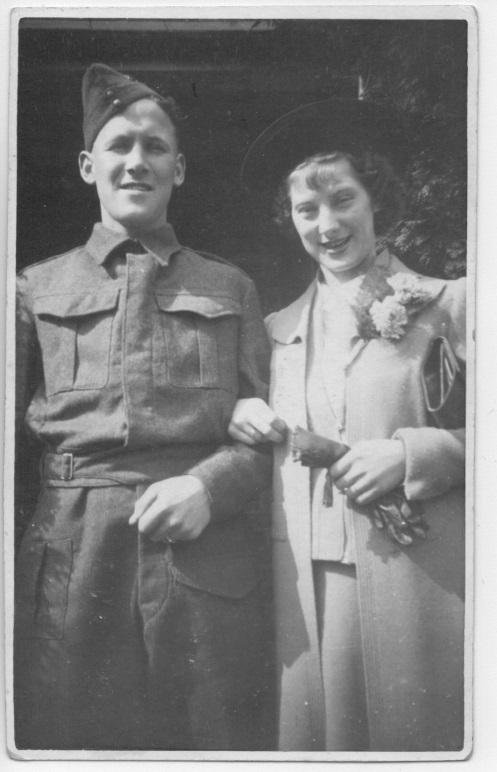 He returned home in April 1940 to marry his beloved Ethel and then immediately returned to France when the fighting started in earnest.